No matter how our winter in southern Alberta unfolds, Mirage Landscaping of Calgary would like to remind all of you parents and grandparents out there that winter is the perfect time for not only making memories with your kids or grandchildren, you can build their love and respect for nature too. A contract for Mirage Landscaping’s fantastic and professional snow removal services is the first step to enjoying yourself outdoors. Not having to worry about keeping your sidewalks and driveway clear leaves a lot of time for other, more important things. Once you can get about your property freely, or get out of your driveway and into the countryside, winter in the Calgary area holds all manner of possibilities for teaching children about how life holds on until spring. This is the perfect time of the year for a different kind of outdoor education. As always, you should dress appropriately even for “short trips” outdoors, just in case something goes wrong. Once you are prepared for whatever the weather can throw at you on short notice, take your children or grandchildren for a winter hike around your property or simply around the neighbourhood. The opportunity for teaching your charges about life in the wintertime abound. Depending upon the age of the child, you can begin by showing the bird life that didn’t migrate and how they scrape by locally. In Calgary’s many parks you can perhaps spot other creatures that don’t hibernate the winter away, such as deer or rabbits, and explain how these animals eke out a living from the snow covered ground. Trees in winter also present an educational possibility whether it snows or not. If the children in your life don’t know about the differences between deciduous trees and evergreen conifers, winter is the perfect time to teach them about how each type approaches the cold months. You can also connect the dormancy of deciduous trees with how some animals, such as bears, “sleep away” the winter to conserve energy. Of course, the evergreens are still going strong all winter, and you can equate them to animals such as foxes or cougars, which actively face whatever winter brings. If animals don’t prowl your block, you can teach youngsters about the science of freezing. Make up some juice, and some flavoured water with the kids and place them in moulds outside and see if whether one freezes faster than the other. If we get one of those infamous “Arctic dips,” with the bitter cold well into the -30 or lower range, you can always fascinate children with a “flash freeze” by throwing a pot of warm water off of your deck and watch it turn into a cloud of instant ice crystals. For older children who already know a lot about the basics about how plants and animals cope with winter, you can get into how some plants can benefit from winter pruning so that come spring, energy is delivered only to the areas that might bear more fruit than less cultivated ones would in the summer. Another topic that can be brought up is how cold weather slows—but doesn’t stop—microbiological activity. This can be demonstrated by trying to keep your compost pile going through the winter and show how the endothermic reaction of the microbes throw off excess heat that you can reveal as steam coming from a gentle turning of the pile – no matter how cold it is outside! If you have a fire pit, don’t mothball it for the winter. And don’t forget about your barbecue either. The coming months are the perfect time to try an outdoor cookout. Try to pick a night when it is forecast to be clear, but not so cold, and get out there for a memorable time watching the stars shimmer with a fire warmed mug of spiced apple cider in hand. 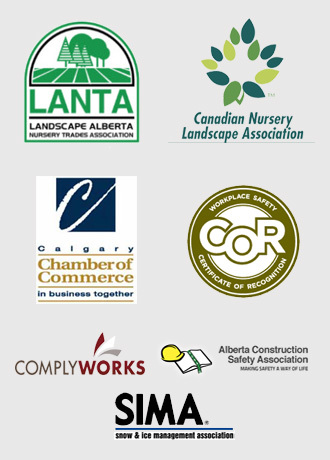 Remember, if the winter is mild, it is still landscape construction season for Mirage Landscaping of Calgary. 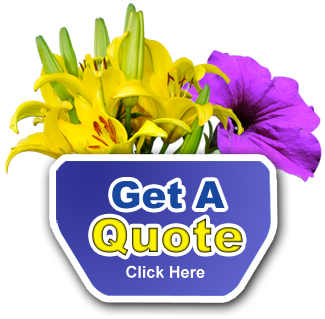 Contact us for both possibilities and for a free quote on any project you have in mind.